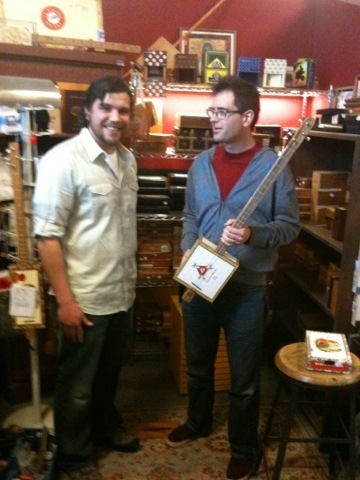 Had a great time building a cigar box guitar under the direction of John Nickel at Nickel Cigar Box Guitar. Here’s a detail of the piezo pickup that we installed in the cigar box. 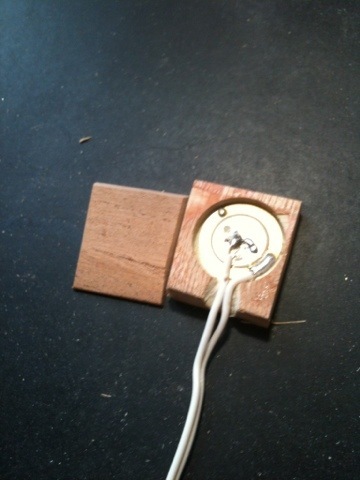 The small block of wood on the left is later glued to cover the piezo element.